Re: Future Melbourne Committee. 06/02/18. Agenda item 7.2. Notice of Motion: Apple Store Fed Square. Written submission. I am an architect, and a councillor in the City of Port Phillip. I deeply wish that, like you, I too had the chance to vote against this inappropriate and unprincipled intrusion of a purely commercial and entirely extraneous 'billboard' retail store into our city's most important public space. Federation Square belongs to all of us, as Melburnians : it has been paid for by the public purse, and has been designed specifically to accommodate us in its urban and architectural design -- which by some miracle of coordinated design and good fortune has done so with resounding success. Its magic should not be messed with. Even if alterations are deemed necessary, any alterations must, first, clearly, be designed as part of the coordinated urban form and architectural suite of the whole design -- which they so blatantly and intentionally are not. And, on fundamental principle, any design alteration MUST be overseen by architects contracted to the people of Melbourne, not the Apple Corporation. No matter what the public reputation of Sir Norman Foster may be, his loyalty will inescapably be to his private masters, not us. The integrity of Federation Square must be protected -- ethically as much as aesthetically. The issue goes well beyond the Square itself. The principles under which changes are made to any of Melbourne's important architectural or urban design elements are at stake. The manner in which public interest is conceived and maintained will be placed in severe jeopardy by this badly thought through decision. Please -- or the sake of Fed Square, for the sake of architecture and urban design in this city, and for the sake of the public interest in this state -- do all you are able and entrusted to do to overturn this terrible error of judgement. 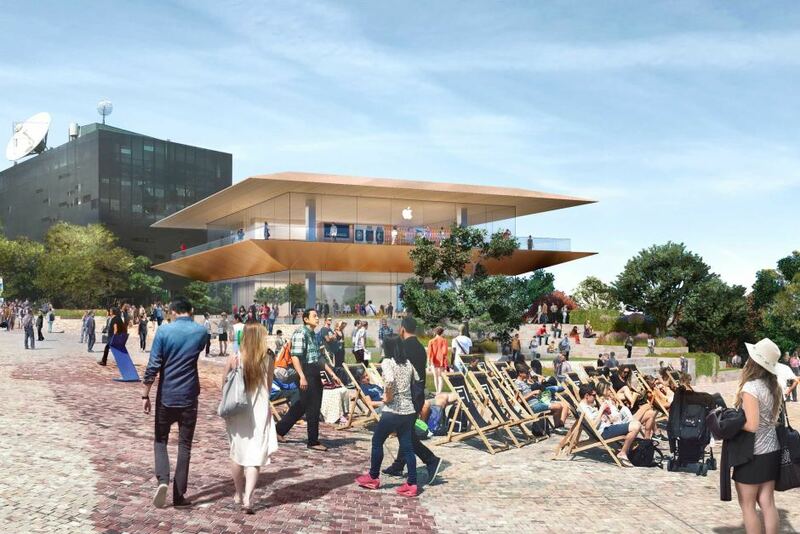 I support the City of Melbourne taking a stand against the State Government's decision to replace Federation Square's Yarra building with an Apple megastore. The State Parliament must hold the Government accountable.